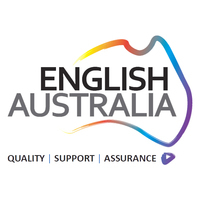 The MOOEC has partnered with ELICOS peak professional body English Australia to provide opportunities for professional development in online training in English language for international students. This partnership will support English Australia member colleges in developing high-quality blended learning platforms. If you have taken part in one of the free workshops in online course development presented by MOOEC partner IES, you can access the dedicated online forum for providing and receiving support in the development of quality material that will showcase your college to students from around the world on the MOOEC. Click the Add button above to access the English Australia MOOEC materials development forum.